Bishop Building Projects are a leading London building contractor with considerable building experience in both the domestic and commercial markets. Our objective is to deliver a professional building service to consistently high standards. We carry out all aspects of general building, renovation and refurbishment work. We are construction professionals and have developed excellent relationships with architects, engineers and sub contractors to continually deliver a friendly and professional service. Loft conversions and basement conversions. Kitchen design; supply and installation. Bathroom design; supply and installation. 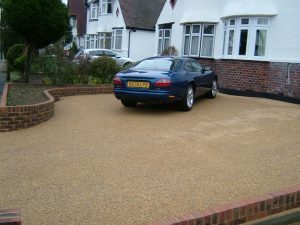 Driveway installations; resin shingle driveways (resin bonded driveway) and block paving driveways. Refurbishments, renovations and building extensions. Perimeter walls, decorative walls and block paving. All forms of general building, joinery, plumbing, heating and electrical work. Creation and submission of architectural drawings. New builds, bungalows, houses and flats, including timber frame builds and traditional builds. Bishop Building Projects care about customer satisfaction and the build quality that we deliver. We are capable of delivering building projects finished to the highest of standards or within the tightest of budgets. We offer a friendly and reliable building service at sensible prices. We are centrally located in Bexleyheath and can deliver building projects throughout, Greater London, Kent and the South East of England. Having used Bishop Building Projects for a small extension to our previous house and been really impressed by Martin, Clive and their team, there was no doubt in our minds that we would use them again to completely refurbish our new house. Overall, they are skilled, thorough, creative, trustworthy and easy to work with and we are very grateful to them and recommend them very strongly.